It is a Romanesque church and externally reminds of Oriental buildings. This appeal to the Orient is even more emphasized by the red domed domes, restored in the nineteenth century by the architect Giuseppe Patricolo perhaps similar to the original one. -581, St. Gregory the Great, and Santa Silvia’s mother are among the promoters and founders of the place of worship. 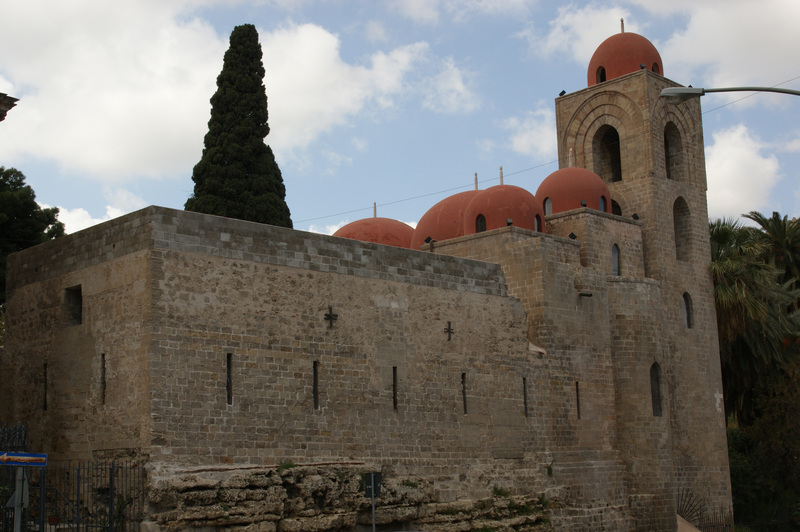 The monastery belongs to the Benedictine Order before Abbazia of the Benedictine Congregation in Sicily. With the rebuilding of Ruggero he assumes the title of “Real” and receives concessions of numerous privileges. Over the centuries the church suffered some tampering but they did not in any way affect the interior building. Overlapping was eliminated around 1880 by architect Giuseppe Patricolo. Since July 3, 2015, it is part of the World Heritage Site (UNESCO) in the “Arab-Norman Itinerary of Palermo, Cefalù and Monreale”.